Dil Se..: 2 minutes Microwave Coffee Cake! 2 minutes Microwave Coffee Cake! I had no preplans to prepare a cake in the microwave..It was 12:30 at night and my hubby was busy with his office work..I did not feel sleepy too..I was just sitting idle not knowing what to do..Felt a bit hungry so decided to munch on something and found my pantry empty..Searching for some quick recipes I landed upon a recipe for microwave cake..I ws wondering how will that be done in 2 quick minutes..I decided to make my own version and decreasing the amount of ingredients..The cake was really moist and fluffy too.. I made this in a small microwavable bowl..I used my cereals bowl..It can be tried in microwavable cups too..One cup for each person..I decided to make it a coffee cake since it would keep us fresh.. Here is my recipe for my quick,eggless,delicious microwave cake made from scratch..
Add milk, vanilla extract and oil and until well blended. Spray a microwave-safe bowl/cup with cooking sprayand pour the batter into the cup. Microwave at full power for 1 minute. Depending upon the strength of your microwave and shape of your cup or container, you may need to cook the cake longer in 15 second increments until done. As long as you don't overcook it, it won't turn rubbery. Also, the cake will puff up so don't fill a very small container. It needs some room to rise. It's not a fancy cake but when you eat it warm with whipped cream, ice cream,a chocolate glaze,or any frosting of your choice it tastes pretty good.I used store bought frosting which tasted great and was over in minutes..
Dhivya few hrs back only i too made microwave cake.urs looking great. Wow....this looks delicious! And it took just 2 mins.Unbeleivable. Hey wow Divya! 2 minute eggless microwave cake - it has all the things I was looking for - have never baked, so this seems to fit the bill - will surely try it out! 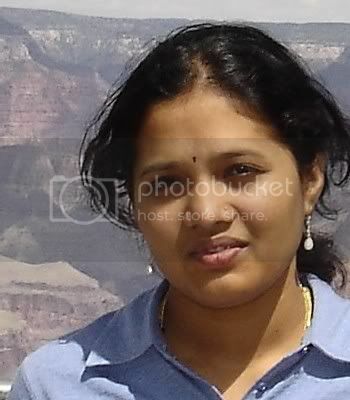 Hi Divya, cool!!!! adding coffee is a nice idea.Great recipe when my son wants to have them in jiffy!!!!!! 2 minute MW cake?! I couldn't believe it when I sw the title! Looks soft & fluffy. hey thats great.... it cooks so nice was it soft too... iam craving for some...:P yummy.... visiting ur blog for the first time loved it.... will add it to my blog roll. Now this is definitely worth a shot. I don't even use my MW for regular cooking! This is so simple. woww..yaar. Cool! 2 min cake in a microwave will try it soon. That looks nice and a great and quick midnight snack!!! Thats really so simple and quick..and eggless at that...thank you thank you..I can try this now! Wow.. simple and easy one. You can't ask for more when it can be made in 2 min. Can't wait to try. wow, a cake at midnight? that too in 2 min. hat's off divya! it looks so soft and delicious. nice entry. Wow, just 2 mins? On my to-do list! a boon to an amateur baker like me. thanks. and i even have all the ingredients at home. unbelievable. Hey that so wonderful just two minutes never heard of wil try it. Great job Divya..cake in 2 mts..? ?I am amazed..gonna try this soon..Three cheers to you!! Thats interesting.. i have all the required ingredients at home except except coffee powder.. will get it this weekend and try it.. sounds very easy.. and just in 2 mins Wow! I like coffee cake and this recipe looks very easy. I am going to try this one. Wow.. Lovely cake in 2 mins, mindblowing !! Very nice entry dhivya !! Wow divya , I tried ur cake and it came out very well , thanks girl!! Wow.. Great idea.. I have also never thought abt cake in microwave.. that too in 2 mins!! Good work Divya.. And cake looks so spongy! Is it really possible?? I just can't wait till morning. My daughter is not well, if she will be fine by tomorrow, I will give her this surprise. I tried this cake and its like a magic. Thank you so much for the recipe. That looks like an yummy cake. I tried once preparing cake in my MW almost with the same ingredients like yours, but it turned out to be quite spongy and that softness of oven baked cake was missing. I tried your cake today with my 7 year old and my daughter thought it was magic when the cake started rising after 30 secs. It was remarkably soft and moist for a cake made in MW in a min and no eggs or too much oil. This one is a keeper. Thank you! I saw your cake on Apy's blog and really loved the idea of making an instant cake. Nice recipe! hey i just tried it immediately after reading the recipe.. unfortunately didn't come out as well as i hoped.. it was a lot chewy, more like doughy.. can i add egg it in ?? WOW.. very first time here .. I hopped in from Madhuram's to check out your granola bar.. & when i saw this I cud not resist but try out immediately after dinner..Amazing it came out very well... except I made 1 big mistake.. forgot the sugar ..!! 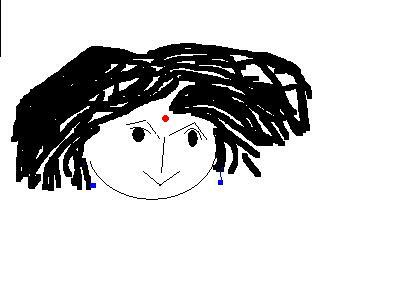 And I did some more tweeks..
Just made it and turned out gr8!! your measures are quite right. I decreased the quantity of sugar and it decreased the taste :). But from next time will follow ur instructions as they are mentioned. otherwise the cake in measure of softness was gud and as u mentioned it's nt a fancy cake indeed. tastes gud while warm. cold version, I felt, was a diaster. well tht's my opinion. thanks for sharing such a nice n quick recipe. is the batter supposed to be thick? i think your measurements are wrong?? how do i get the batter to be more fluid like yours looks? hi, that was very nice.. oneday i was searching for recipes of cakes in microwave, and i found this. thanks for this.. but i've one question, whenever i bake in microwave it become hard, rather like elastic, instead of spongy.. could you give me any suggestion? hi divya... today only i came across ur blog.. i am very sorry to say the 2 mints cake is a flop.. it has its raw maida taste after 2 mints of bake.. if u add more oil n milk n keep for 5 mints it is better..
wow amazing......... n guess what this went well with strawberry syrup as well :P yum yum yum ...! I made this coffee cake last night after I found it on chef in you. It was great. I didn't have any milk so I used coconut cream/coconut milk. I also added a dollop of Jam. Loved it!